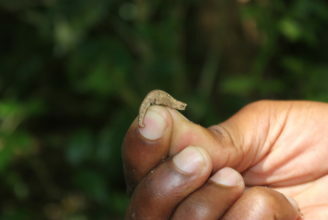 Madagascar offers so much for every type of traveller. Whether you prefer to be in the rainforest or on a pristine beach; wake up in the spiny forest or have tea with the locals – we select the accommodation and activities in order to suit not only your preferences, but also your budget. There are so many experiences to choose from while planning your holidays. 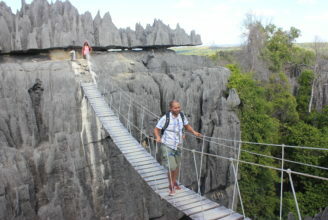 The Earth Trip has selected the best attractions of Madagascar in this section. Using the filters you can refine the experience options to the regions you are planning on visiting. 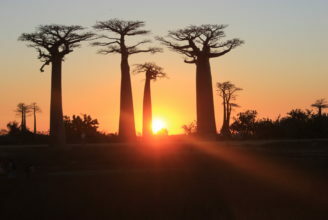 Experience the authentic Madagascar with The Earth Trip. 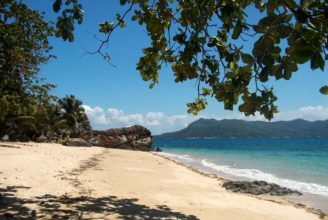 Experience the Evatra Tour to the stunning Lokaro Bay in Fort Dauphin. 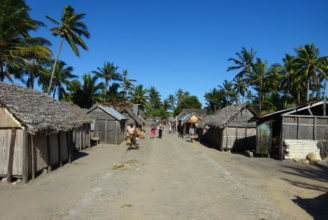 The village of Andrafiamena in Nosy Be offers an eco-tourism village experience. 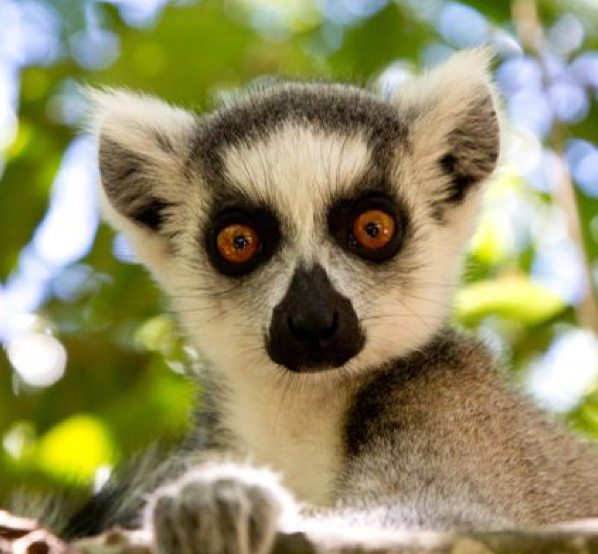 There are eight species of lemurs here, including the common brown lemur and the cute and cuddly Coquerel’s Sifaka, which come out of the forest and can be easily viewed at the park’s entrance. Visit the Petit / Small Tsingy: this circuit lasts approximately 2 hours and passes through a labyrinth of limestone and two view points over the impressive pinnacles. 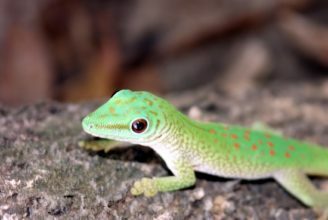 Observe the wildlife at Kirindy Reserve where they become more active during dawn and dusk. 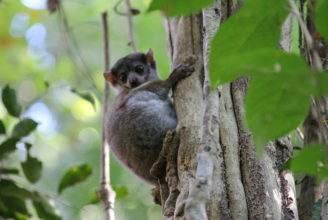 Also, you can take a walk to spot the nocturnal wildlife as Kirindy offers the best wildlife spotting experience including Giant jumping rat, lemurs, chameleons and Fossa. This is one of the most spectacular natural landscapes in the world. 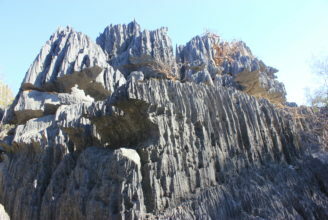 An extensive area of limestone massif has been eroded into impressive karst pinnacles. 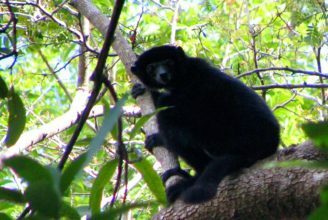 Experience a guided walk with a local park guide to explore this great biodiversity sanctuary abundant with endemic fauna and flora, luxuriant vegetation, many waterfalls and volcanic lakes which honeycomb the area. 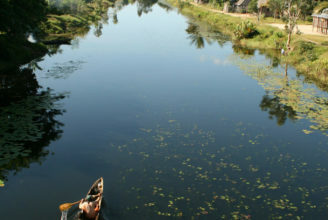 Take a boat tour of the Pangalanes Canal and discover Mahanoro which means “happy-making”. This word perfectly describes the daily life of the inhabitants of the East Coast.